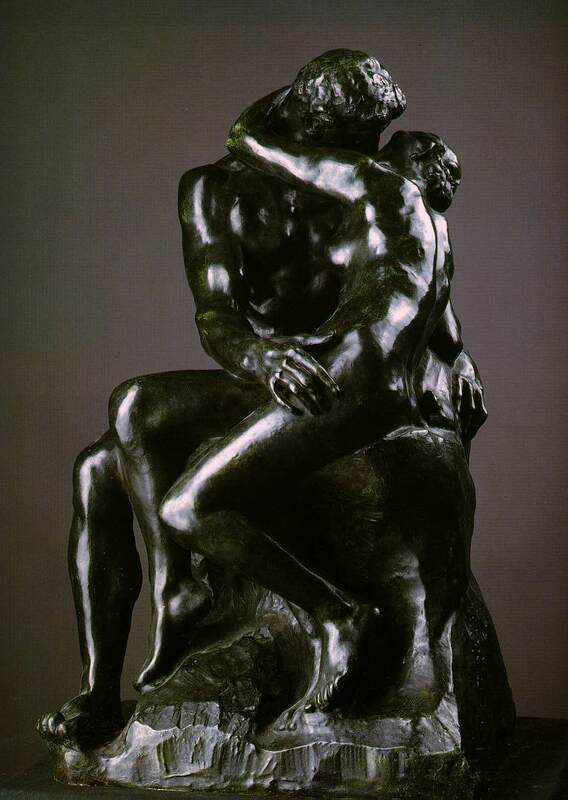 The French artist Auguste Rodin had a profound influence on 20 th- century sculpture. His works are distinguished by their stunning strength and realism. Rodin refused to ignore the negative aspects of humanity, and his works confront distress and moral weakness as well as passion and beauty. The father superior of the order recognized Rodin ‘s talents and encouraged him to pursue his art. In 1864 Rodin met a seamstress named Rose Beuret. She became his life companion and was the model for many of his works. That year Rodin submitted his Man with a Broken Nose to the Paris Salon. It was rejected but later accepted under the title Portrait of a Roman. Rodin traveled in 1875 to Italy, where the works of Michelangelo made a strong impression on him. The trip inspired his sculpture The Age of Bronze, which was exhibited at the Paris Salon in 1877. It caused a scandal because the critics could not believe that Rodin had not used a casting of a live model in creating so realistic a work. The controversy brought Rodin more fame than praise might have. In 1880 he was commissioned to create a bronze door for the future Museum of Decorative Arts. Although the work was unfinished at the time of his death, it provided the basis for some of Rodin ‘s most influential and powerful work. In 1884 he was commissioned to create a monument that became The Burghers of Calais. His statues St. John the Baptist Preaching, Eve, The Age of Bronze, and The Thinker are world famous. Rodin died on Nov. 17, 1917, and was buried at Meudon.